Every autumn as the air gets cooler and the tourist crowds in Italy’s main cities thin, locals and in-the-know visitors flock to the town of Alba in Piedmont. This is not least because the pretty streets and picturesque church squares fill with the aromatic scent of one of the world’s most luxurious foods: the white truffle. 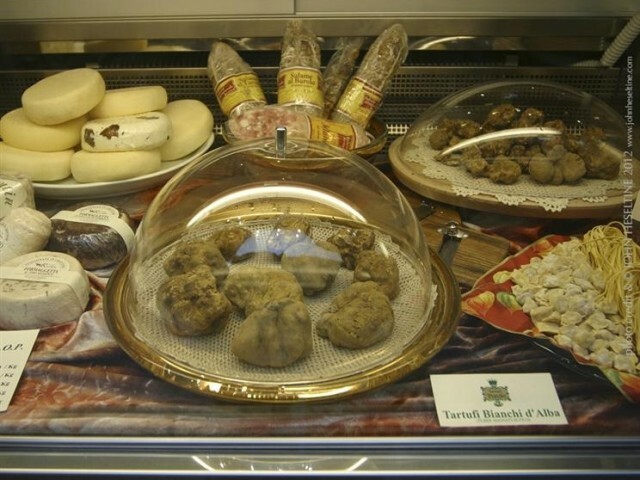 October and November mark Alba’s annual White Truffle Festival (Fiera Internazionale del Tartufo Bianco d’Alba), a month-long celebration of the beloved local delicacy that is savored all over the world. From market stalls to restaurants, events to exhibitions, the festival celebrates all things tartufi in the town that is most famous for them. 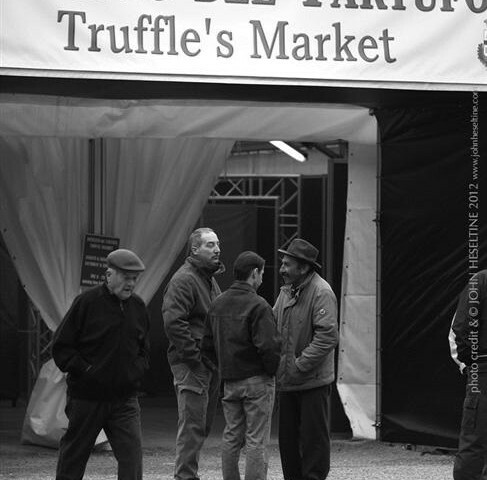 One of the best ways to experience the truffle festival—which is now in its 83rd year—is to go to the Palatartufo pavilion in the town center. 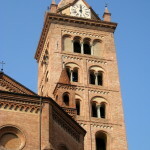 It hosts a truffle market and an exhibition of food and wine from the Piedmont region called AlbaQualità. Once inside, a range of truffle-related vendors sells everything from truffle cheese to truffle oil. 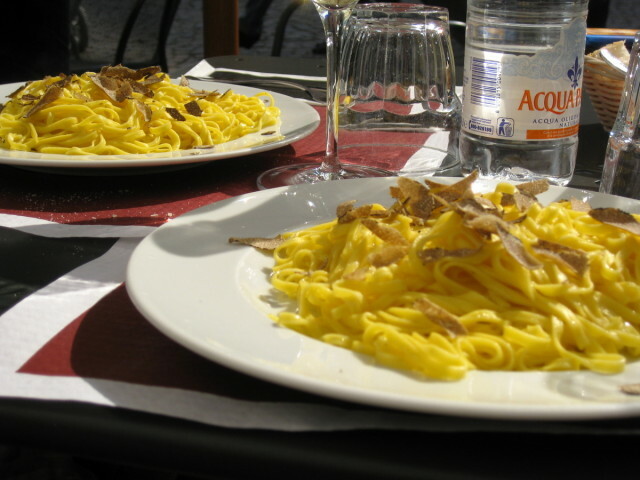 There are whole white truffles of all sizes on sale for those with the means to purchase them and the urgency to consume them, and wine can be sampled along the way. In fact, visitors are given a special wine glass holder to wear around their necks—a perfect way to keep the hands free for sampling and shopping. Dedicated truffle connoisseurs and professionals can participate in the annual invitation-only international white truffle auction (Asta Mondiale del Tartufo Bianco d’Alba). 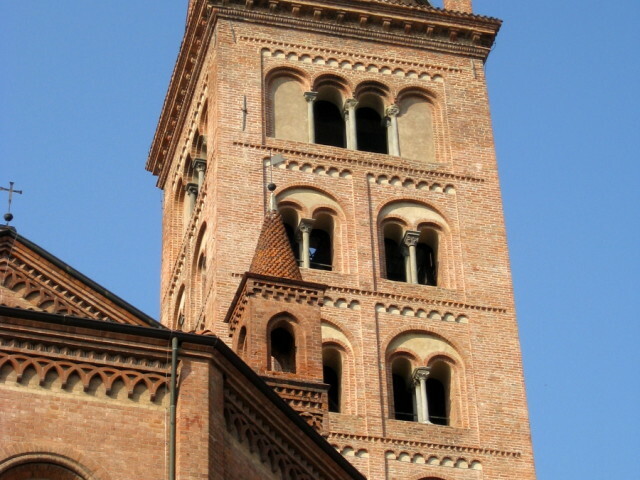 It takes place at the end of the festival at the nearby Castello di Grinzane Cavour. Top culinary outfits from around the world descend on the auction to purchase the best of the “white diamonds”—as the truffles are commonly called—and bring them back to fine dining rooms across the globe. 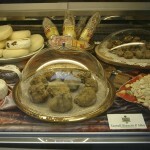 The best truffles can sell for upwards of £80,000! For those that want to eat the famous truffles in their home region, Alba’s restaurants feature special truffle-inspired menus throughout the festival. From sunny outdoor cafes to award-winning restaurants, truffles can be found at all locations and at every price point. 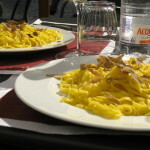 Favorites include restaurant and wine bar Osteria dell Arco, Michelin-starred Piazza Duomo, and historic Enoclub, which is one of several restaurants offering a “dinner in the dark” experience at this year’s festival with the aim of helping patrons reconnect with their non-sight senses. And how could they not reconnect with them after that lovely aroma lured them to the festival in the first place? It is a wonderful Italian gourmet experience. 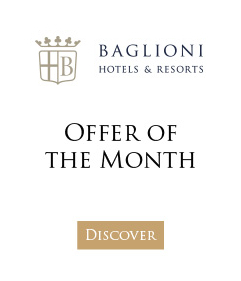 The 2013 festival will take place on Saturdays and Sundays from 12 October to 17 November 2013.